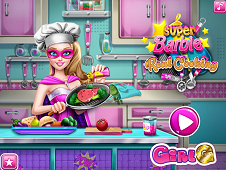 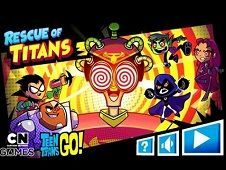 Barbie Super Mom is our last Super Barbie game where you will have to help us caring these tow super heroines: Super Barbie and her daughter Baby Super Barbie. 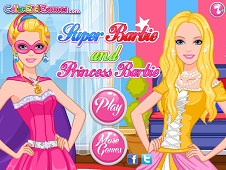 The game Barbie Super Mom have 2 different levels, the first will let you take care about their faces with some awesome skin treatment and the second level of the game will let you create some special clots for both super Barbies. 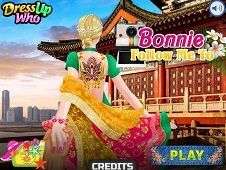 So, let's start the game with some skin facial treatment like an cleansing Cream, to remove the makeover from Barbie's face, then you will see some ugly thing on her face like ugly eyebrows and some little red bumps on her face that you have to remove them. 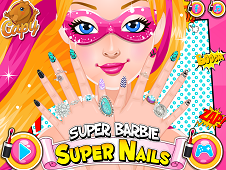 Take the shower to remove these cream, then use a tweezers to remove the ugly eyebrows and finally you can go in the second level of the game where you will have to create some special clots for both Barbie's. 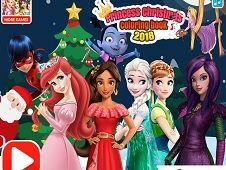 Try to choose first an new hairstyle for each girl, then take a look at her clots, here you have to work a little bit more because you have to make an association between her dress and her accessories. 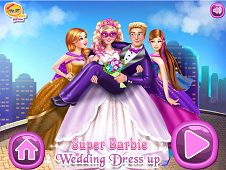 Finally you've finished the game and our cute girls are completely dress up and makeover with a new outfit, thanks! 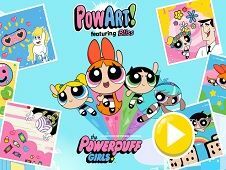 use the mouse to take care about our super girls. 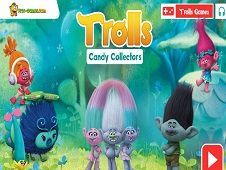 Write your comment...i have no comment to it because i cant play the games that i want to play,:(. 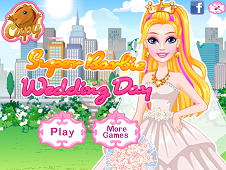 Barbie Super Mom is a game that has been added on 21.06.2017 and we invite you to play right now because it was played 10912 times. 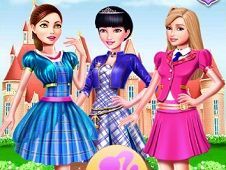 Barbie Super Mom was added in Barbie Games and seems to have 84% obtained at the vote from each member that have been played this game.